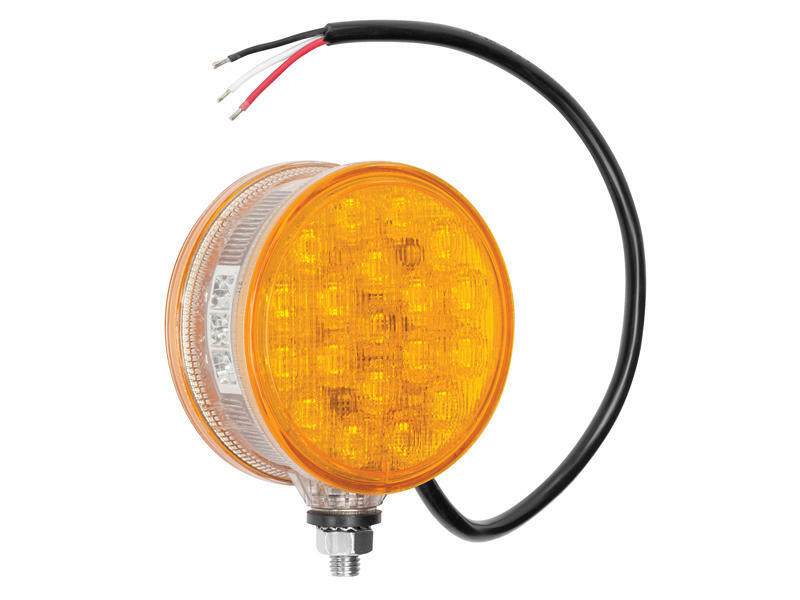 Amber lamps meet 4cp sidelight requirements in horizontal and vertical mounting options. Meets ASABE S279, FMVSS-108DOT, & EC requirements. Compact mounting footprint and unique wire routing for multiple mounting options. Lamps are waterproof with 16 gauge wire.